Small update, no effect?! Dell secretly updated its top seller: The XPS 13 is one of the first models that gets the latest Kaby Lake processors from Intel. The chassis does not appear to be changed, and the display is similar as well. We once again do a live review and will update the article continuously. In most areas Dell XPS9360-5000SLV-PUS just rules. The core performance it offers because of the new i5 processor and solid-state drive is very decent – a person with any kinds of programs would find the Dell a smooth sail to work with. One of the highlights is also the screen with very thin bezels, excellent resolution and bright image. The “cons” section mostly consists of little annoyances such as webcam location and gaming performance on the poorer side. If you however can overlook these little blunders, I think the Dell is totally worth the money for a high-performance ultrabook seeker. It took a couple of years, but the laptop world finally caught up to Dell's cutting-edge XPS 13. HP, Lenovo, and Microsoft are falling over each other to one-up Dell and putting out remarkably nice computers. Truth be told, if you want a laptop that's thinner or a 2-in-1 design, there's an unprecedented amount of superb choices. Dell itself will be addressing these new competitors with the XPS 13 2-in-1. It's worth noting that the 2-in-1 version loses ports and power (Dell's opted for slightly slower Y-series Intel chips). The Dell XPS 13 improves upon our top-rated laptop by offering even longer battery life, faster performance and stronger Wi-Fi in an equally compact design. The Dell XPS 13 may no longer be the hot new thing of the ultraportable-laptop world. Starting at 2.7 pounds (and edging up to 2.9 pounds if you opt for a touch-enabled display), this machine is almost a pound heavier than the lightest laptops with like-size screens, such as the Samsung Notebook 9 and Asus ZenBook 3. But for the extra weight, you get rigid build quality that's rivaled in this class only by Razer's Blade Stealth and Apple's brand-new 13-inch MacBook Pro. In the end, you can look at Dell’s latest XPS 13 as a “if nothing’s broken, don’t fix it” moment. It’s arguably one of the best if not the best laptop available. You get that beautiful InfinityEdge display, a super-compact body, and oodles of performance. Not that anyone should resting on their laurels, because the competition isn’t going to sit still for much longer. For now though, it would be hard to beat the XPS 13. Dell XPS9360-1718SLV might not be the best choice for a casual user because it is so pricey, but a professional who can appreciate the performance should find this kind of a notebook an excellent choice. The new Core i5 processor is a beast for laptop, and the solid-state drive will only help in general performance and booting up the laptop quickly. The screen is crystal sharp thanks to the Quad HD resolution. If you got the money, check out this high-performance Dell! The big trend in laptops right now is making your system as thin and light as possible but at the expense of shorter battery life and too few ports. 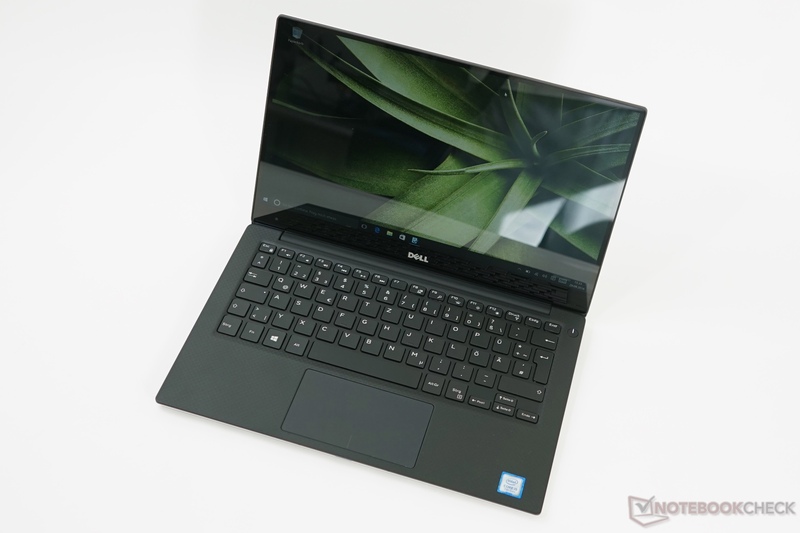 The XPS 13 doesn't cave to that peer pressure, and instead gives you nearly 14 hours of endurance and all the connection options you need in a design that's plenty light and compact for travel. Plus, the new XPS 13 offers a very strong Wi-Fi card, which allowed me to connect in parts of my abode where the 12-inch MacBook barely maintains a signal. Dell's refreshed XPS 13 is immaculately crafted, sports a sharp QHD+ touchscreen, Intel 7th Generation processors and a rose gold color...but opting for the premium color scheme is going to cost you. Positive: Perfect design; solid workmanship; lightweight; high mobility; good keyboard; long battery life. Negative: Relatively high price. 84.36%: This rating should be considered to be average. This is because the proportion of notebooks which have a higher rating is approximately equal to the proportion which have a lower rating.